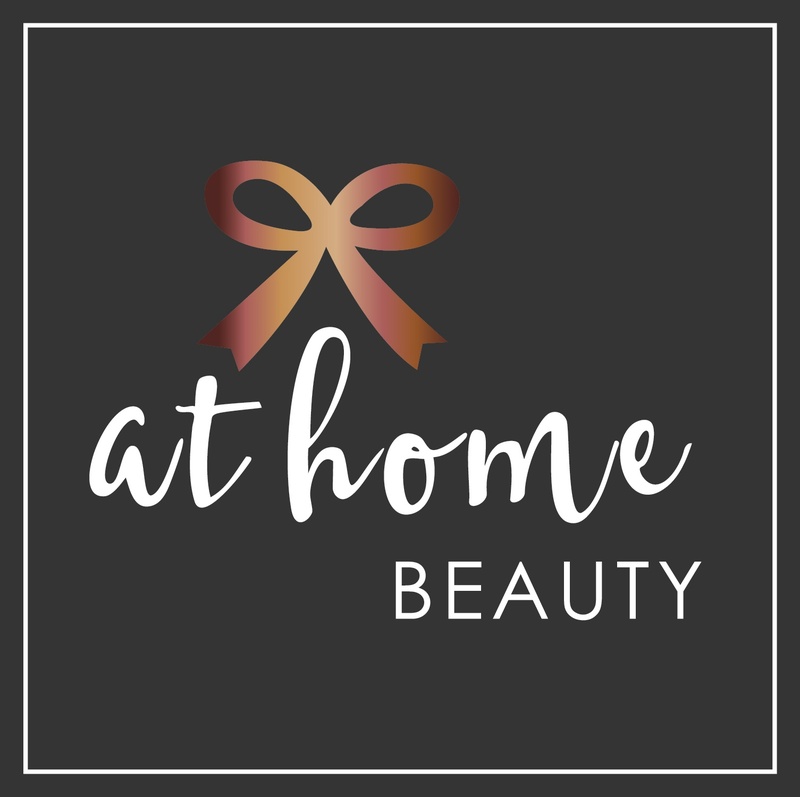 At Home Beauty provides exceptional beauty treatments in the privacy and comfort of your own home, in and around North Yorkshire. 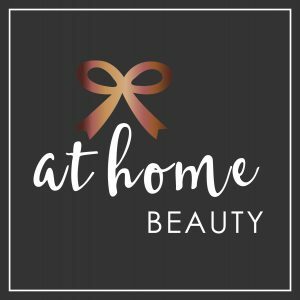 I bring the salon to you so you can relax whilst having a luxury facial treatment of fitting in a lash tint between running errands and the school run. I am passionate about looking after my clients, delivering a professional and friendly service and I don’t compromise on quality. As anyone who has ever had Hypnotherapy before knows, it is a very safe and relaxing experience. As a Clinical Hypnotherapist with seven years’ experience in the field I work with you and your subconscious mind to change beliefs, habits, and behaviours more quickly and easily than is usually the case with sheer willpower. Though many people associate Hypnotherapy as a very effective way to become a non-smoker, as indeed it is, there are a wide range of issues that it is very effective for. I regularly help clients’ to lose weight with Hypnotherapy, reduce pain, remedy sleep problems, reduce IBS symptoms to name just a few. The welcome increase in society’s awareness of mental health issues means that clients suffering with different types of anxiety problems also come for help. Hypnotherapy can and does, regularly turn peoples’ lives around for the better. A part of my work I particularly enjoy is helping children and young people with problems such as bed wetting, exam anxiety or general anxiety. 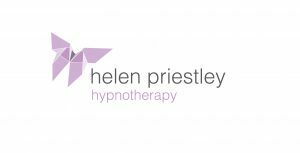 I offer a friendly, caring and professional service from my quiet, purpose built Hypnotherapy room on the outskirts of Norton, Malton. Prospective clients are invited to have a free hour long consultation before booking an appointment. 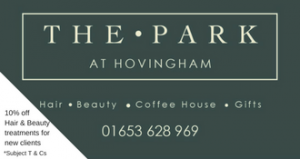 At The Park we offer a large range of hair and beauty treatments. Our stylists are specialists in colouring & cutting, you will be given a free consultation to help you to decide on the perfect look for you! Our exclusive luxury colour and Product brand Fuente, is an organic natural range and is beautiful on the hair and most importantly completely PPD free. We also specialise in bridal & prom hair and high definition makeup. Our beauty room offers lots of different treatments from microdermabrasion facials, tanning, high detention brows, waxing, massage, ear piercing and all nail treatments. We use luxury top of the range brands including High Detention , Dermalogica, San Tropez, Shellac CND and OPI. You can enjoy a cup of coffee or tea and a cake in our Coffee Shop around your treatment too. This beautiful hotel is located between Harrogate and York, with 53 individually designed bedrooms. 18-hole 72-par golf course, set against the breathtaking backdrop of the Vale of York and meandering River Ure. Just a 30 minute drive from York – Aldwark Manor is the perfect getaway if you want a night away without the kids. They have a lovely spa with pool, jacuzzi, sauna and steam room as well as ESPA treatments – including pre and post natal. If you want to take Children it would also be perfect due to the pool, space outside and with all practical things like high chairs, cots and baby changing all available. There are a couple of rooms that also take dogs so great for the complete family! This combines deep tissue massage with co-ordinated breath work and yoga stretching. Offer a fantastic range of treatments from advanced anti-ageing to relaxing and therapeutic holistic therapies including a pregnancy massage. Located in the heart of North Yorkshire in the traditional market town of Helmsley. Luxury hideaway with the popular Weathervane Restaurant serving seasonal and locally foraged food. Lovely place to go for a “treat”. Verbena Spa with treatments provided by Temple Spa. Extensive Heat Experience including an aromatherapy room, salt inhalation chamber, saunarium, monsoon shower and foot spas. In addition you can relax in the outdoor heated swimming pool and brand new Jacuzzi. Mum to Be Treatments especially designed for pregnant clients to enable their full body to be massaged & treated, without having to lie on their tummy. Mini facials in your own home with Neal’s Yard products. Can be for yourself or for a group of Mum’s to have a little get together and pamper while a friend watches over your baby. The Spa at Raithwaite Hall is set within woodland, but the invigorating nature trails have to take a back seat to the facilities within this incredible country retreat. The health and fitness areas already have a reputation for skilled personal trainers and punishing boot camp weekends, so it is only natural that this type of exertion should be followed by some serious pampering. REFLEXOLOGY, a gentle, non-invasive therapy that encourages the body to balance and heal itself. Helps improves circulation, especially in the feet and legs, assists with detoxing the body, calms the mind working on a mental and emotional level, increases energy levels and promotes good sleep! REIKI, a Japanese technique for stress reduction and relaxation that also promotes healing, is administered by “laying on hands” and is based on the “life force energy” flowing through us. It is a natural and safe method of spiritual healing and self improvement. I provide therapeutic massages to relieve stress, tension and aching muscles. Offering a range of treatments including Traditional Swedish, Hot Stones, Deep Tissue and Pregnancy massages. Treatment room is based in Pocklington and mobile appointments are available on request. Appointments are available during the day as well as evenings and weekends. Great variety of treatments available including Massage, Hot Stones, Waxing, Pedicures, Make Up and Facials including the Signature facial for mum to be (60mins £35) (Using products without essential oils that are safe to use during pregnancy) plus much more.